The Queen and the Duke of Edinburgh celebrated their 71st wedding anniversary on Tuesday, but the monarch didn't get the day off. Instead, she was out and about in diamonds and rubies in London. 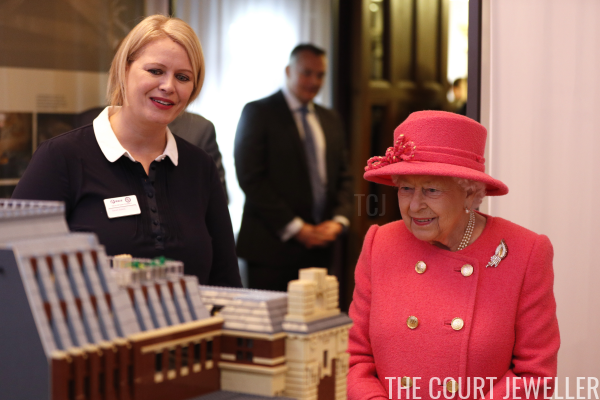 The Queen stepped out for a visit to the Royal Institute of Chartered Surveyors in central London. The institute is celebrating its 150th anniversary. 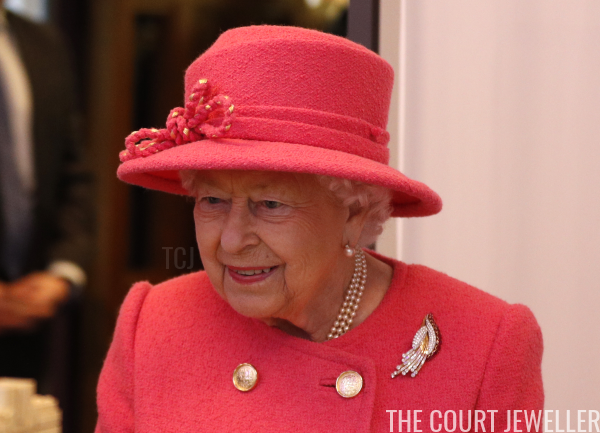 For the visit, the Queen chose a brooch that's been in her collection since at least the 1960s: her ruby and diamond spray brooch. 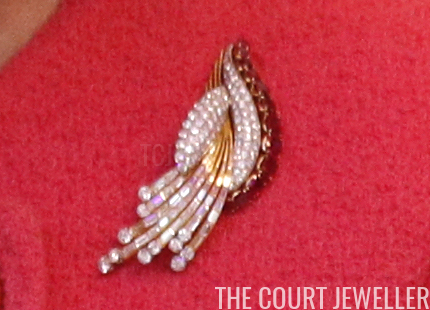 Here's a closer look at the diamond, gold, and ruby brooch, which is definitely mid-century in its design. I don't believe we have any provenance information for this piece, but the Duke of Edinburgh was certainly known to buy his wife unusual modern jewelry, especially in the first two decades of their marriage. 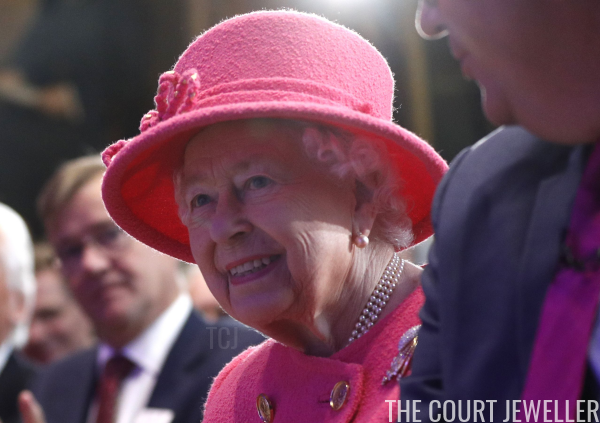 Perhaps, as it was worn on their wedding anniversary, the brooch might have been a present from her husband?